When you rely on a commercial freezer or cooler to help run your business, your priority should be organizing and maintaining the chiller for food safety. The organization keeps the food inside this equipment safe to serve your customers. Use the guide below to prevent cross-contamination and ensure you are following standard health and safety codes. Why Is Food Storage Organization Important? 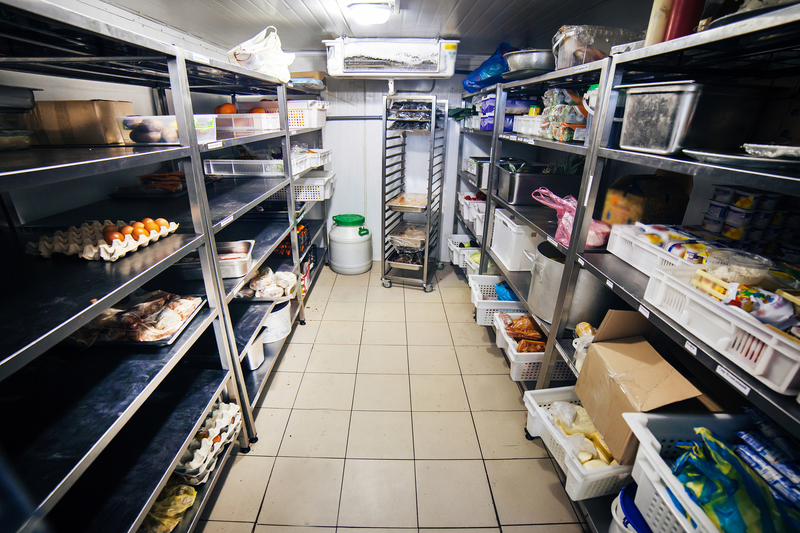 Keeping the inside of your restaurant’s refrigeration equipment organized will help you run your business more efficiently. You won’t have to worry about surprise health inspections because you know that everything is up to standard. It also ensures products are used early in their lifespan, so the meals you create are fresher. There also won’t be any confusion when looking for items during peak hours or when you need to restock. First, everything that enters your commercial freezer or cooler should be labeled and dated. Always place newer items behind the older ones to help ensure a first-in, first-out policy. This will help maintain food safety and prevent waste. Next, label your shelves to prevent confusion and ensure employees follow health code requirements. Designate the bottom shelf for any meat products. This will prevent the possibility of dangerous cross-contamination if something is spilled. Out of the remaining shelves, select the one that is the furthest away from the fans for produce to maintain freshness. Similarly, when stocking a freezer, try to use the items kept near the fans fairly quickly to avoid freezer burn. Don’t place any items on the floor. This is a serious health code violation, and it even applies when you are actively using the reach-in cooler or freezer. Additionally, when organizing your products, try to space them out and keep them off the walls. This will ensure the air in the equipment can circulate efficiently and prevent hot spots. When the refrigeration equipment in your restaurant is acting oddly or has expired, contact the professionals at Commercial Refrigeration of KY for fast solutions. Since 1980, they have been Campbellsville, KY’s trusted company for commercial kitchen equipment sales, repairs, maintenance, and installations. Call them today at (270) 465-2910 for emergency service or a free quote. Also, visit their website to learn more about their available commercial freezers and additional products. Other Announcements, Events and Deals from Commercial Refrigeration of KY Inc.
A. Commercial Refrigeration of KY Inc.